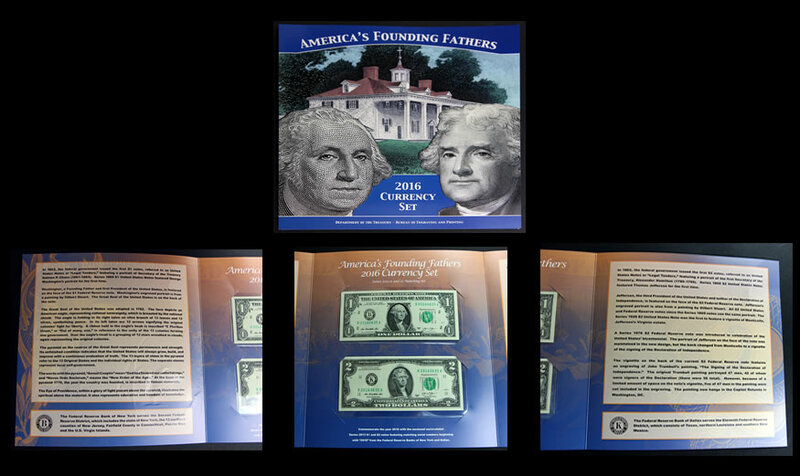 The Bureau of Engraving and Printing (BEP) continues to sell its 2016 America’s Founding Fathers Set with $1 and $2 notes carrying matching series numbers starting with "2016"
Released one month ago, on March 29, it’s somewhat surprising they have lasted this long. 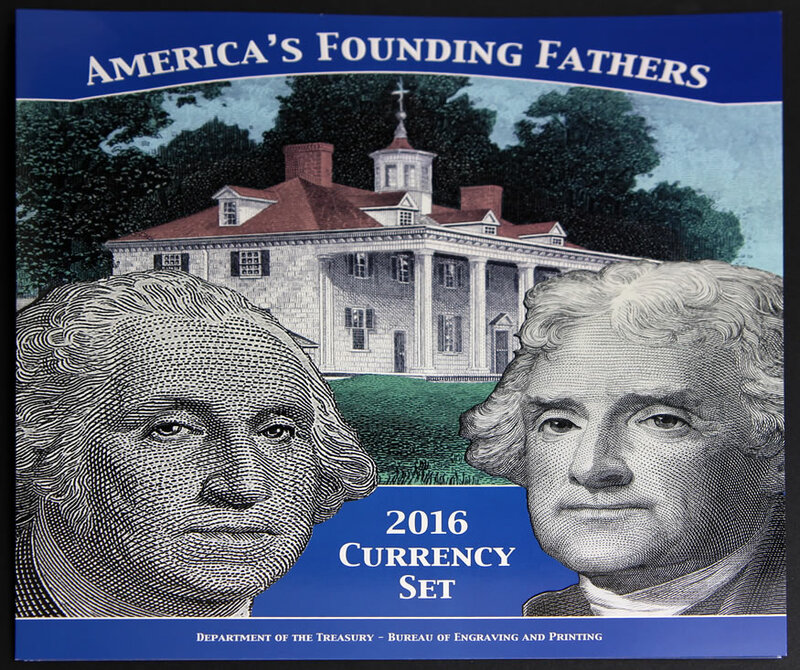 This product is annually issued, and is usually quick to sell out. This year’s release, like the one from 2015, is limited to 5,000 sets. 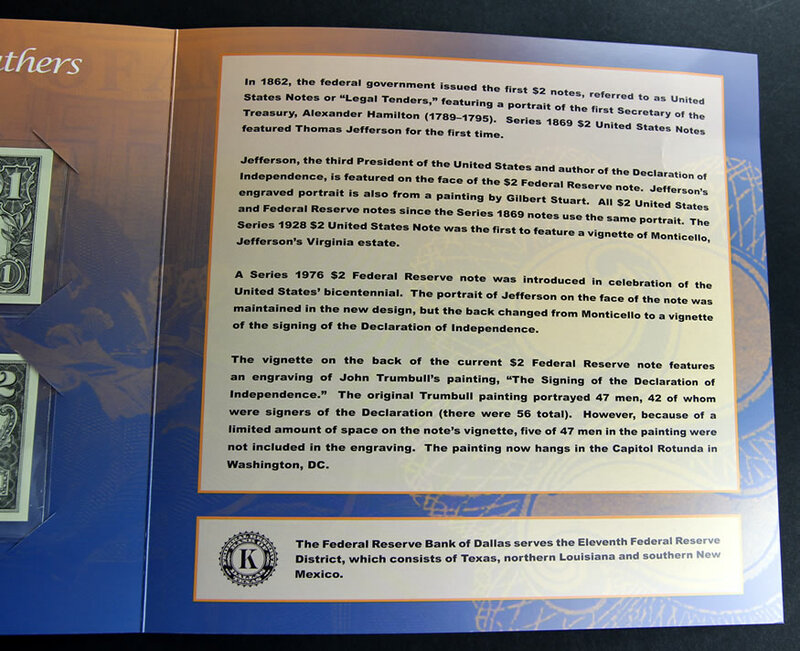 The BEP actually established a limit of 3,000 sets in 2014 and those apparantly sold out too quickly. The BEP on April 18 waived household ordering restrictions, which had been capped at 25 sets. 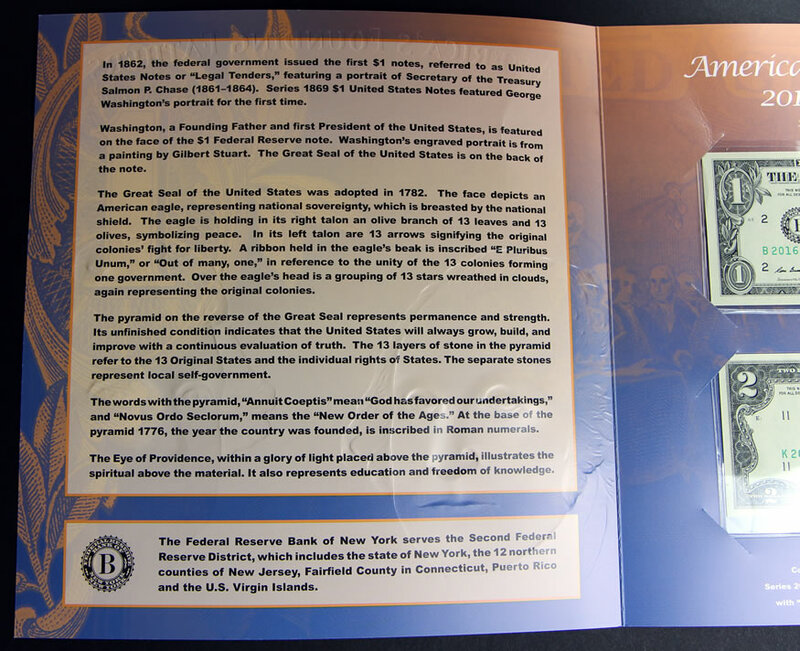 Money collectors can now order as many as they like with bulk pricing available at $18.95 for quantities of 50 or more. 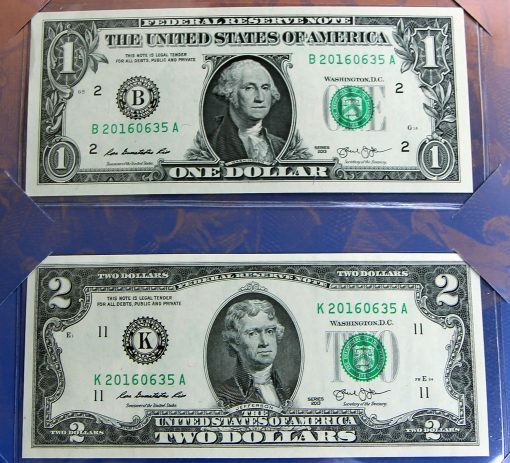 The regular price is $21.95 for one. 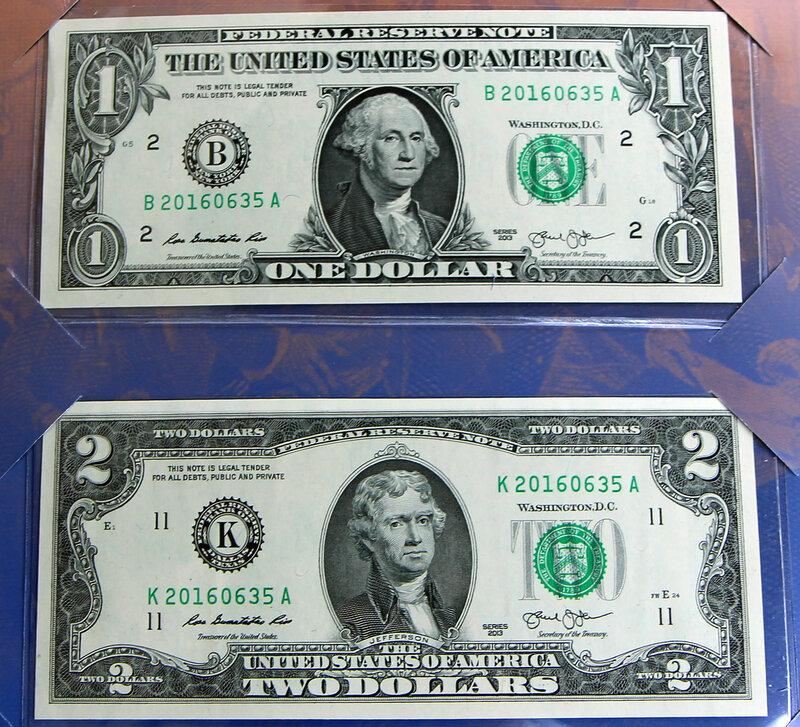 The currency set may be ordered directly from the Bureau of Engraving and Printing’s online store at www.moneyfactorystore.gov or by calling 800-456-3408. Below are a few more photos of the set. I ordered 5 sets from BEP (1 for me & 1 for each of my 4 nephews) of these on first day of issue early in the morning around 8am expecting a quick sellout like past few years. I buy these every year along with some of their other sets & uncut notes. 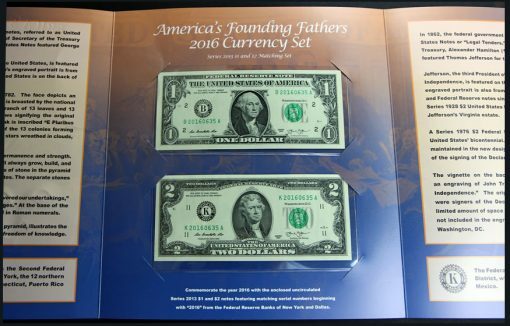 They are great sets & I got one very low serial number note #2016…364 this year luckily. Lowest number I have ever received on a FRN. Thanks for sharing your photos! So true. The BEP has always offered free first class shipping by the USPS since my first order with them in 1986 & I usually get my items once they ship in just 4 days from Washington D.C. to Austin, Texas, even 3 days a few times! Their limited edition products usually hold their value well & most increase over time.